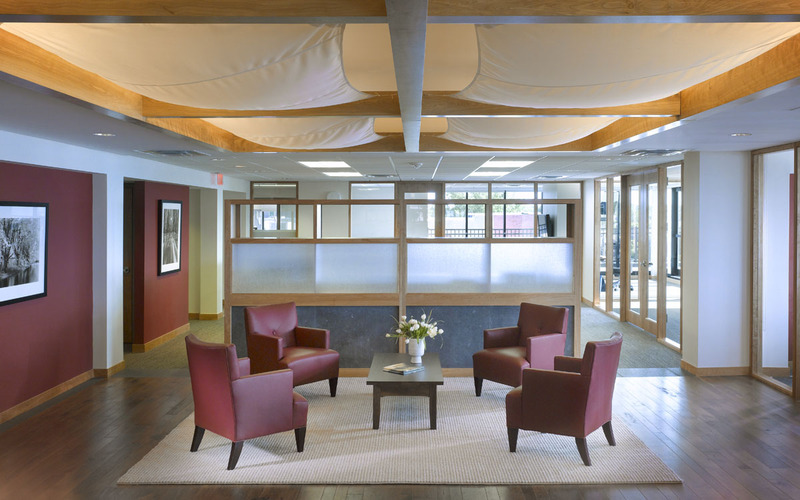 The design of this Class A office space was inspired by the surrounding landscape of the Lake Champlain basin and is a celebration of Vermont culture and community. 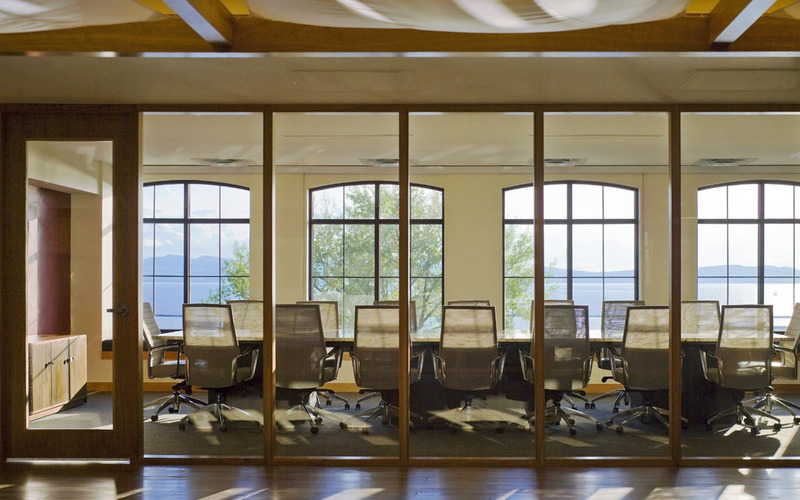 The use of natural and local materials supports the LEED rating system and establishes a true Vermont character for this independent employee owned firm. The tenant project earned high marks for its downtown site location; energy efficiency measures; and superior indoor air quality. 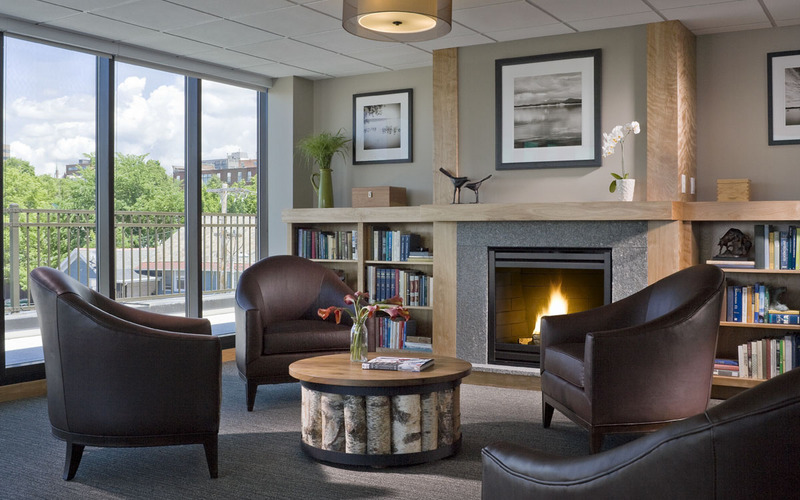 The project also received credit for utilizing sustainable materials and resources, such as furnishings containing recycled content and FSC-certified interior wood products. 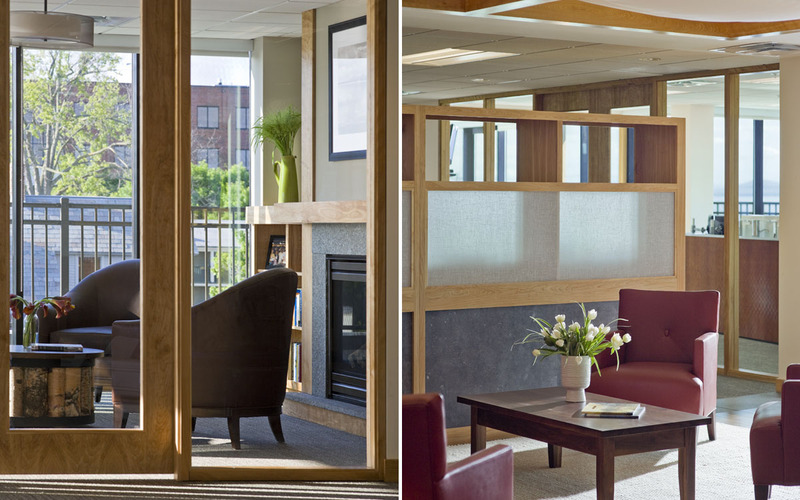 The reception area features hardwood flooring salvaged from the Vermont forest and Champlain Marble quarried from the region. 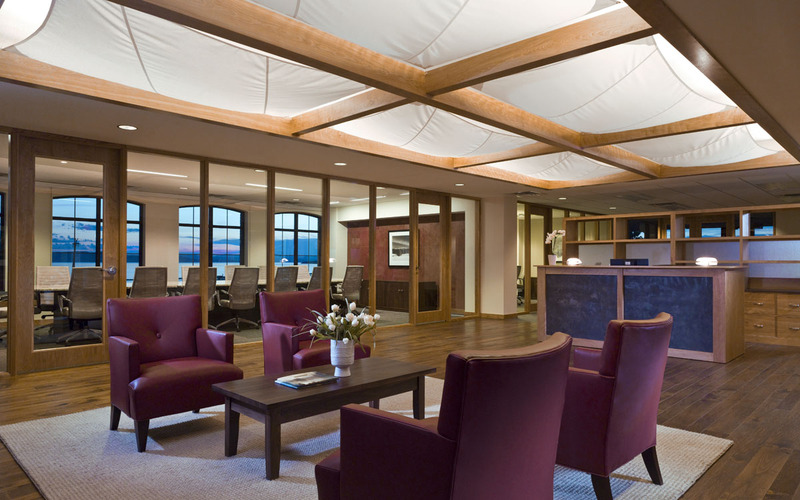 A billowing ceiling of cloth panels provides a contrasting softness to the space and alludes to the passing sailboats on Lake Champlain.